Fluorine uranium carbon potassium. Jane’s experiment really went wrong this time. 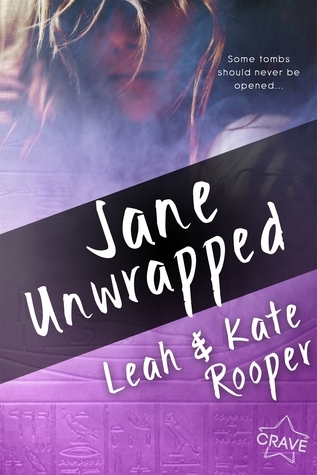 After a fatal accident, teen scientist Jane becomes the first modern-day...mummy. Waking up in the Egyptian underworld without a heart certainly isn’t the best—especially when it means Anubis, god of embalming, has to devour her soul. Yuck. But when Jane meets the drop-dead gorgeous god, suddenly she's thinking this might not be the worst thing to happen. And then she is pushed to do the impossible—just time-travel and kill King Tut. Well, every experiment has variables which can end in disaster... Jane just wishes she could decide whether she wants to strangle Anubis or kiss him. This was a fun a fun and quick read. I really enjoyed the Egyptian aspect of this book. I have always been fascinated with the history of Egypt, and I loved how this book gave an inside look into ancient Egypt. The authors did a nice job of describing what the world would have been like back in those times. The main reason why I enjoyed this book was because of the Egypt setting. I thought the romance in this book was cute, but I wish there would have been more development of the relationship. It seemed a little too sudden that they gained feelings for each other. That being said, I did enjoy most of the romantic moments in this book, even if it was a little rushed. Jane was an interesting main character. I loved how smart she was, especially in the science department. Her knowledge got her out of a lot of sticky situations. However, she was completely oblivious to a lot of things that I felt like she should have realized since she was so smart. She was also very indecisive and immature, which got on my nerves. Tut was a character I never really understood. I was excited that he was included in this book, but I just didn't like him. I couldn't even understand why Jane liked him. He was just a nuisance in my opinion. My favorite character of the book was Anubis. He was snarky, smart, and attractive. I couldn't help but like his character. Overall, I did enjoy this book. It was a fun and unique story. I would recommend this book to someone who likes YA and ancient Egypt.